The Southampton Garden Club (SGC) celebrated its 100th anniversary in 2013. 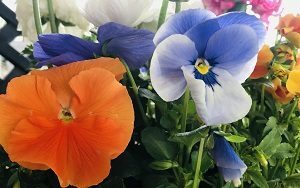 It was started by a group of women interested in the new gardening trend of the early 1900s that was sweeping the country: a move away from home-grown vegetables to flower gardens. 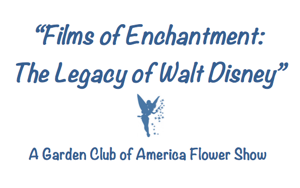 For information on the SGC’s 2019 flower show, “Films of Enchantment: The Legacy of Walt Disney” please click here. To buy tickets to the show’s luncheon & lecture, “Disney’s Artful Gardens”, please click here. Over the last century, the Southampton Garden Club has worked to enhance Southampton Village by developing and implementing civic and community gardens, projects and educational workshops. 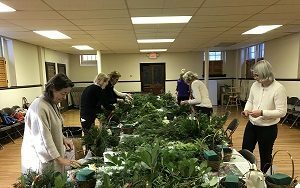 It sponsors flower shows, garden tours and lectures and it encourages young students within the community to pursue careers in horticulture and landscape design through its scholarship program. The SGC is a member of the Garden Club of America (GCA). Comprised of 200 member clubs and almost 18,000 members throughout the United States, the GCA also celebrated its centennial year in 2013. To read more about the GCA, click here.